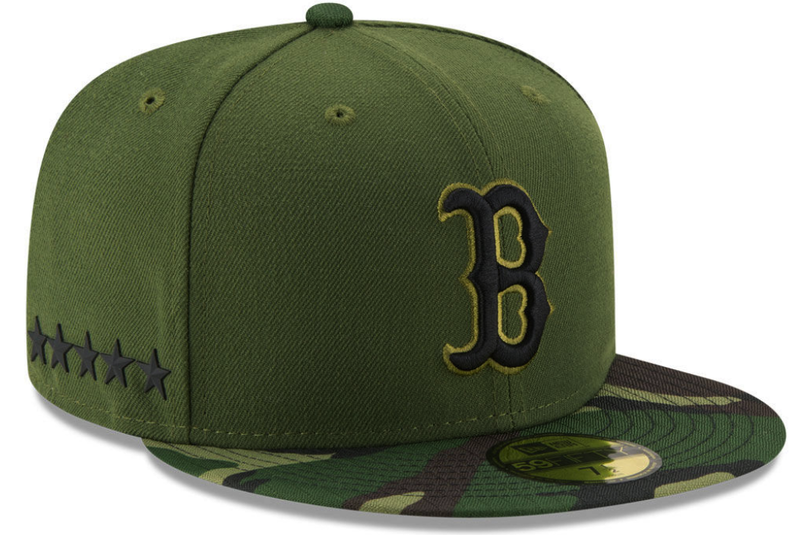 On Memorial Day weekend, the Red Sox (along with the other 29 clubs) will be wearing special customized hats reflecting a military look—including camouflaged brims and a "general-style" five star display along the side. Through the efforts of the Major League Baseball Players Association (MLBPA), the hats will be part of the larger celebration by the sport over the weekend. Fans and players can get even closer through the MLBPA's latest mobile app, Infield Chatter. You can see the full line of Memorial Day hats and gear HERE.